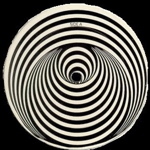 Home / Sell my record collection / Vertigo Record Label"
Arguably the most collected label for the progressive rock enthusiast is this “swirl” Vertigo record label. Most of the music on this label is really great progressive rock and the label looks great on the turntable! The UK copies of these are worth a lot more than those from other countries, but label completists will want all of them – so it is always worth giving me a call on 07791 633362 to discuss what you may have there. I am a big fan of the VERTIGO record label and whilst I love Black Sabbath, there are a myriad of other great bands that released albums on Vertigo. You should definitely have a listen to these two. If you think you have something to sell and would like a fair and honest price, based on 25+ years experience then please call Pete on 07791 633362 or via the form below.